Two packages arrived from home last week filled with kitchen gadgets and clothing that I hadn’t had room for and a few things I realized I could use and had not yet found here in Swaziland. I may have been the most excited about my Jack Mormon coffee and mug. On Sunday morning, the only day we do not have class, I had a lazy morning with scrambled eggs, hash browns with my newly arrived grater, feta (yes, feta is available in Swaziland! ), grapefruit, and a great cup of coffee. It was an excellent morning. I really love receiving mail, even letters. Sending a package here is really expensive, so I’m not asking for packages. But send me letters! 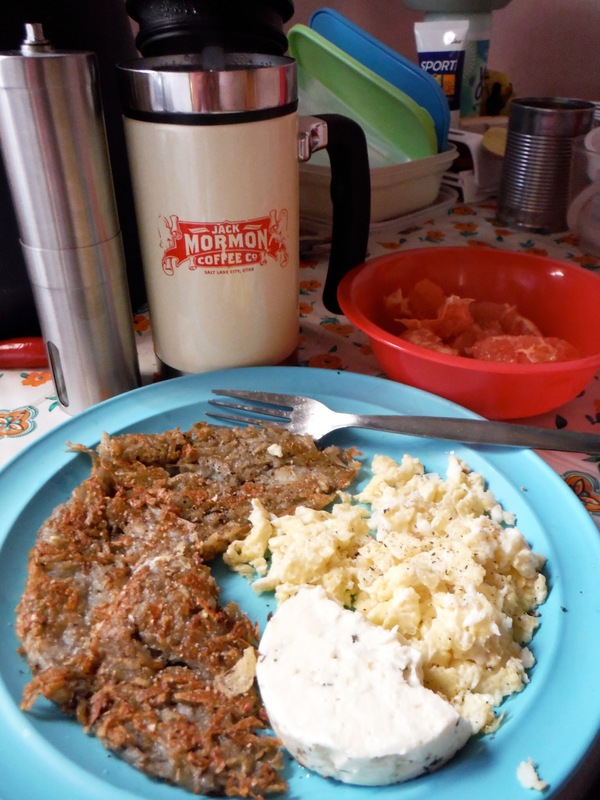 This entry was posted in Africa, Peace Corps, Swaziland, Wednesday photo and tagged breakfast, Cheese, coffee, Food, Life, Peace Corps, Peace Corps Volunteer, photo, Swaziland. Bookmark the permalink.